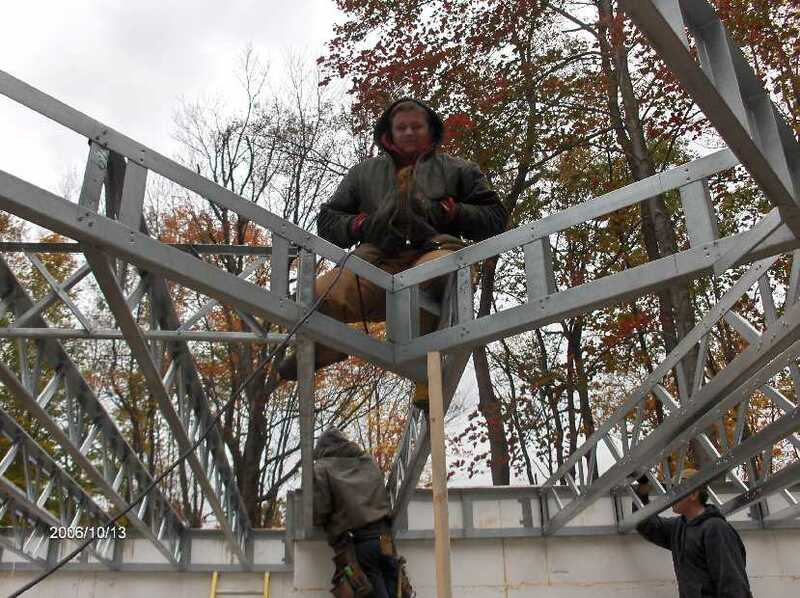 Continuing with our last update on First Floor Steel Open Web Joists for Stehr House in Highland Twp Michigan of Thursday Oct-12-2006, we continued our work on installation of steel joists, the metal deck and radiant heat tubing under the metal deck. 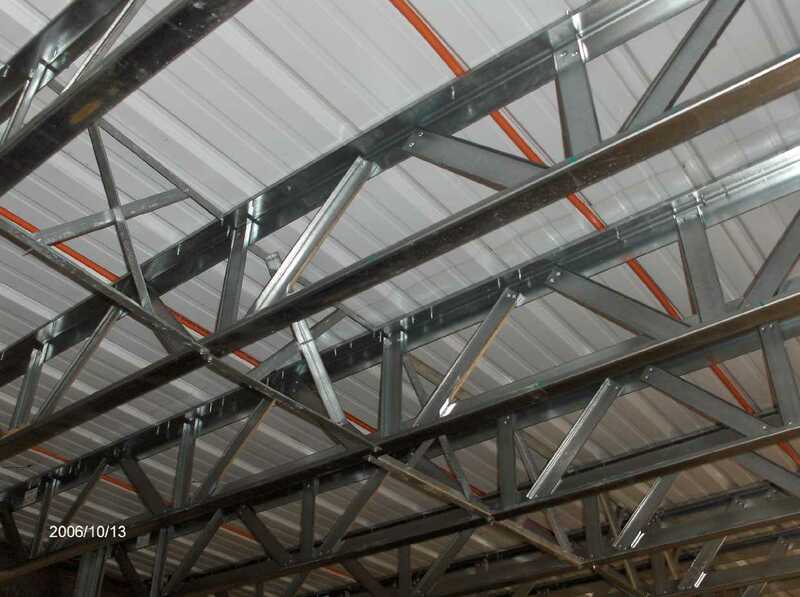 The installation of metal deck and radiant heat tubing in the storage area under the Garage was completed. 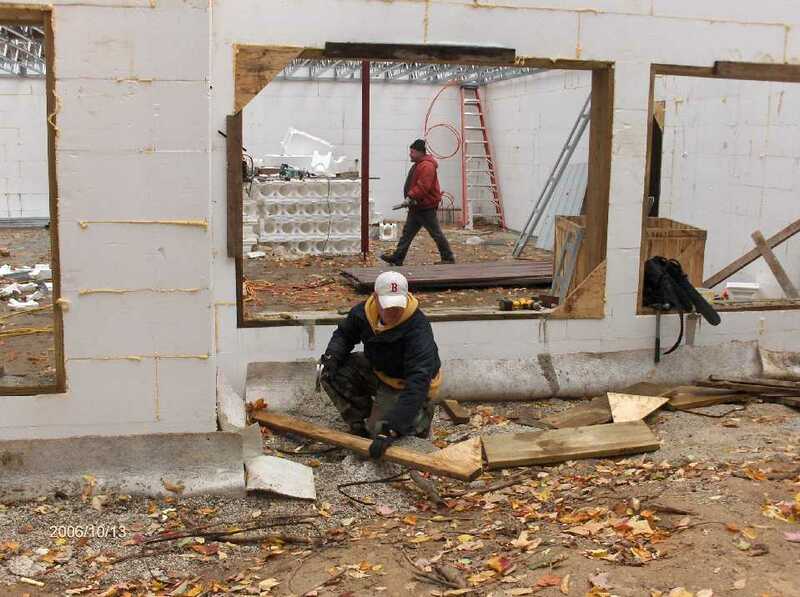 However, in the main part of the house near the end of the day when I took these pictures, we were completing the installation of all the floor joists. 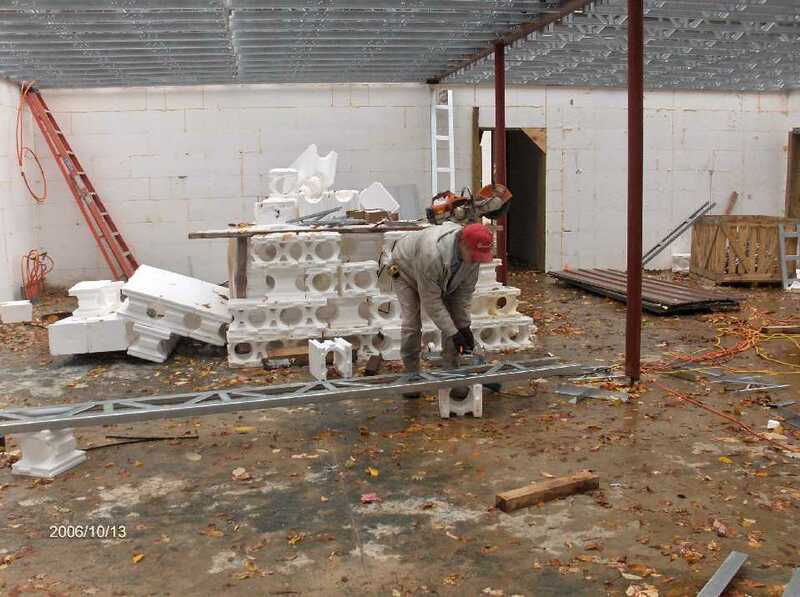 Some field fabrication was needed for framing the joists at the stairway opening. 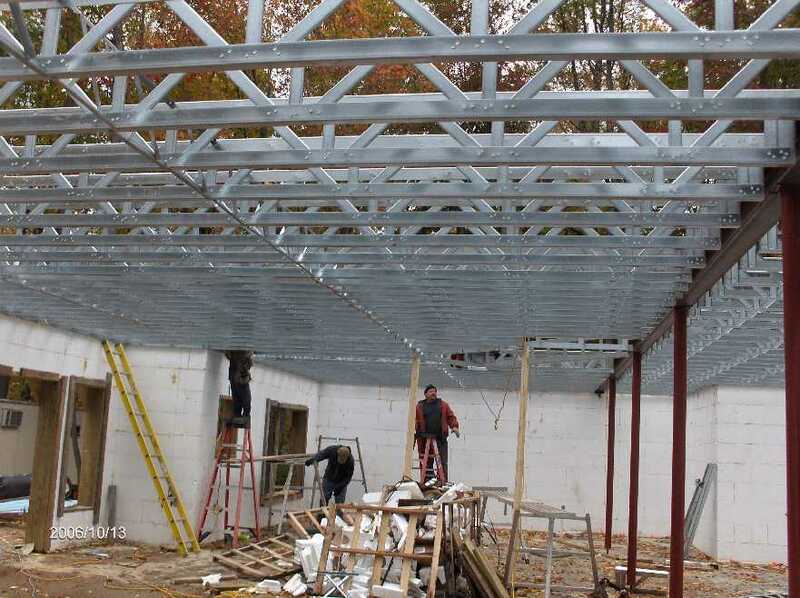 We would not be able to complete the installation of the metal deck and the radiant heat tubing for the main part of the house today. Dave Dotson and his wife Betty are flying over on Sunday to Hawaii for a week to celebrate their Wedding Anniversary. Accompanying Dave and Betty to Hawaii are their son and daughter-in-law ... Enjoy the Trip and Have a Great Time in Hawaii. 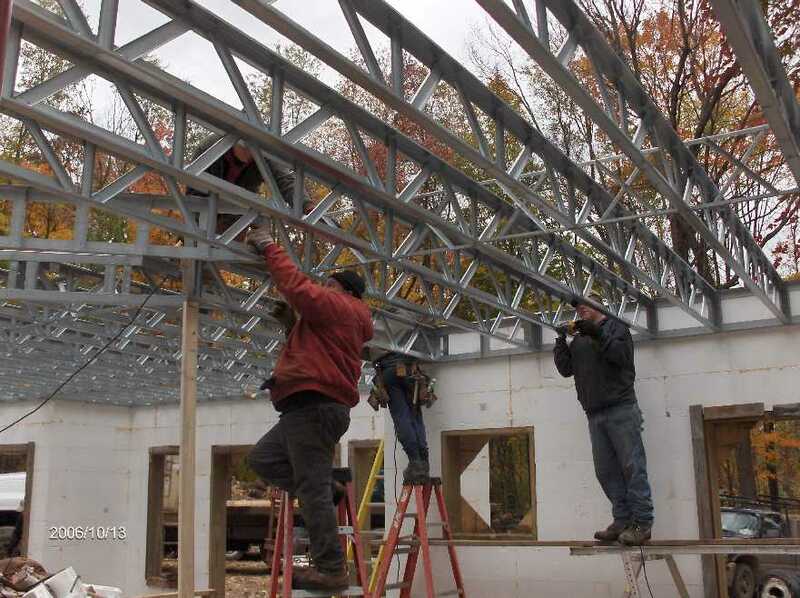 Soak in some sunshine for us folks who would continue to work at the Stehr site and most likely be still battling the cold weather here in Michigan.